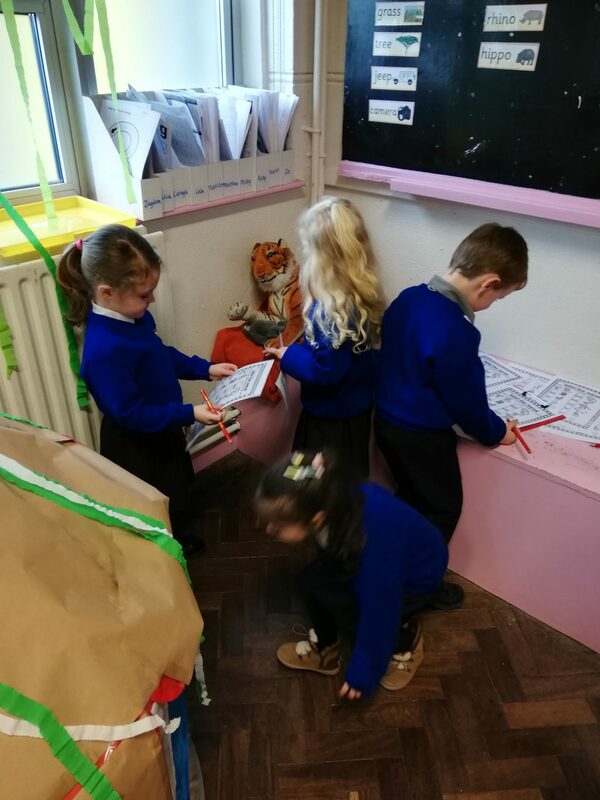 It has been a very busy few weeks settling back into school for the boys and girls in Room 1. 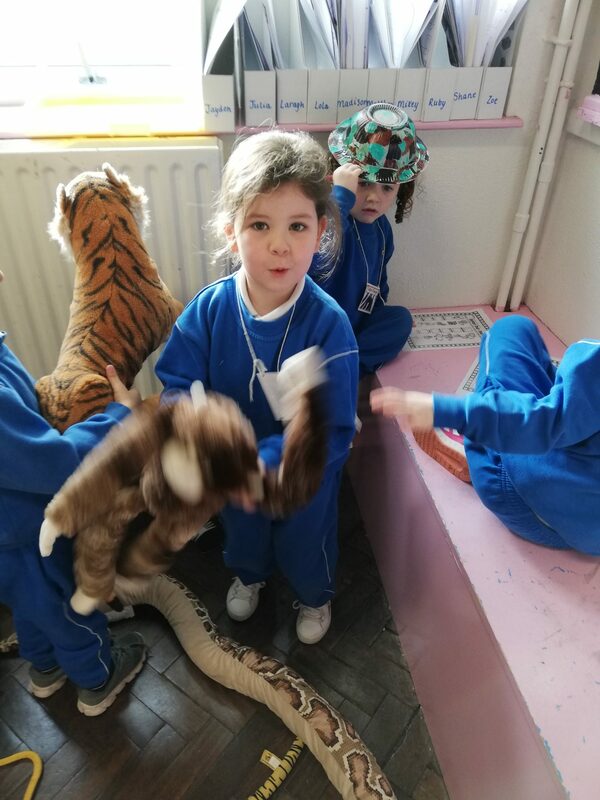 Our new Aistear theme for this month is The Jungle! 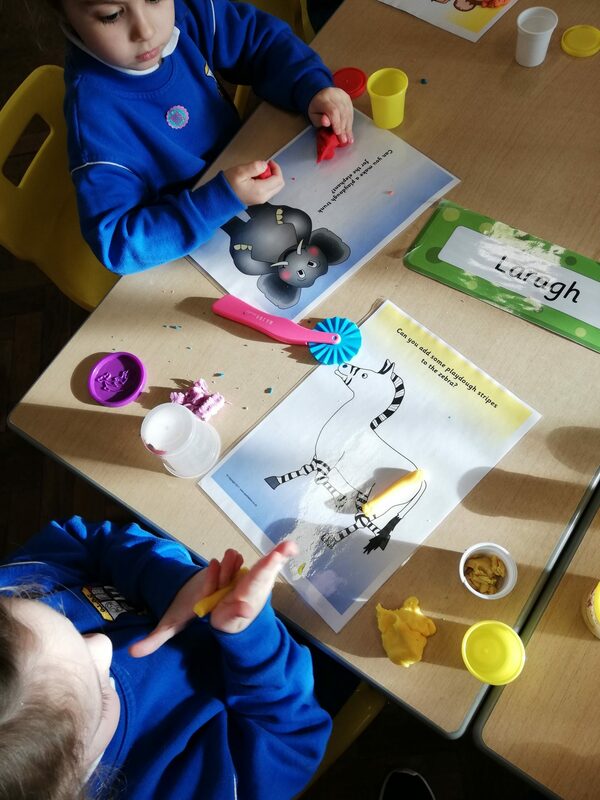 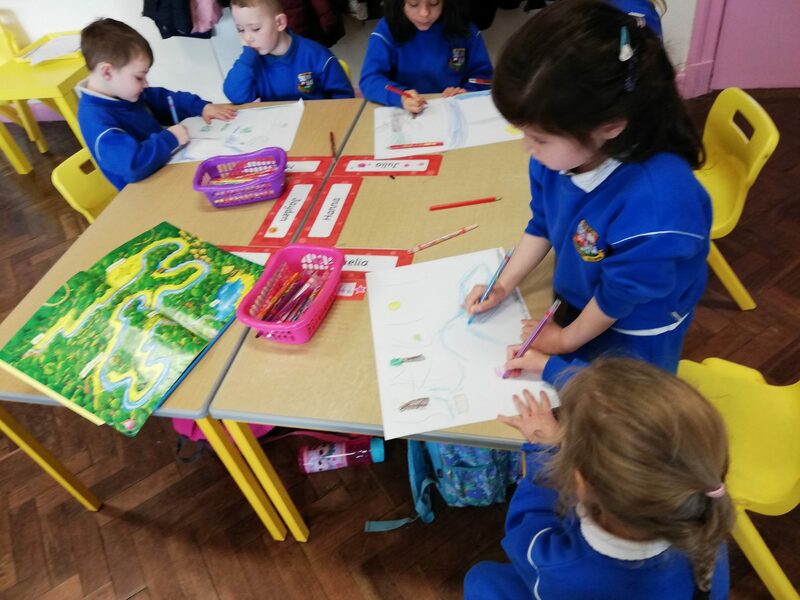 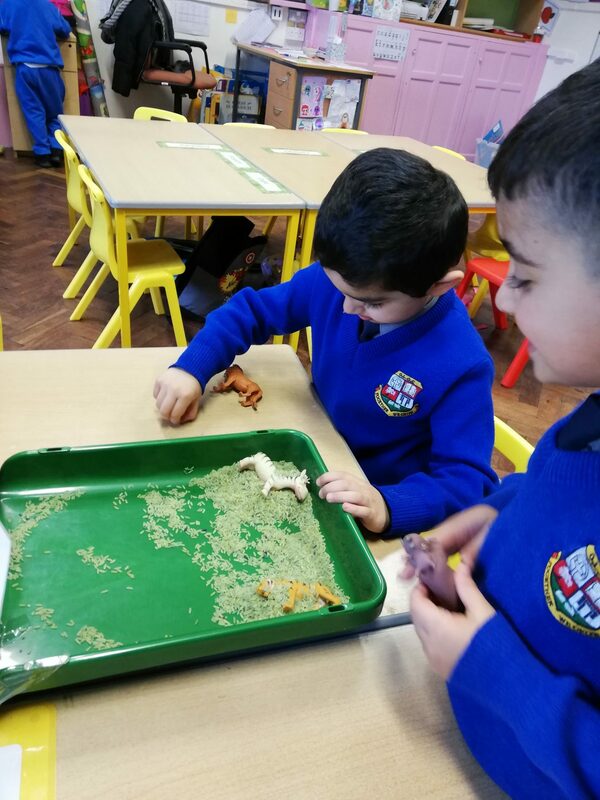 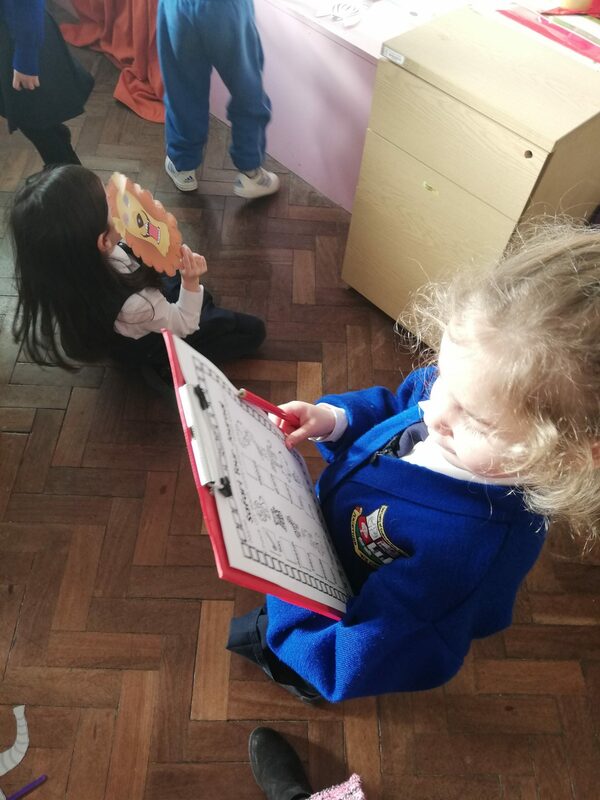 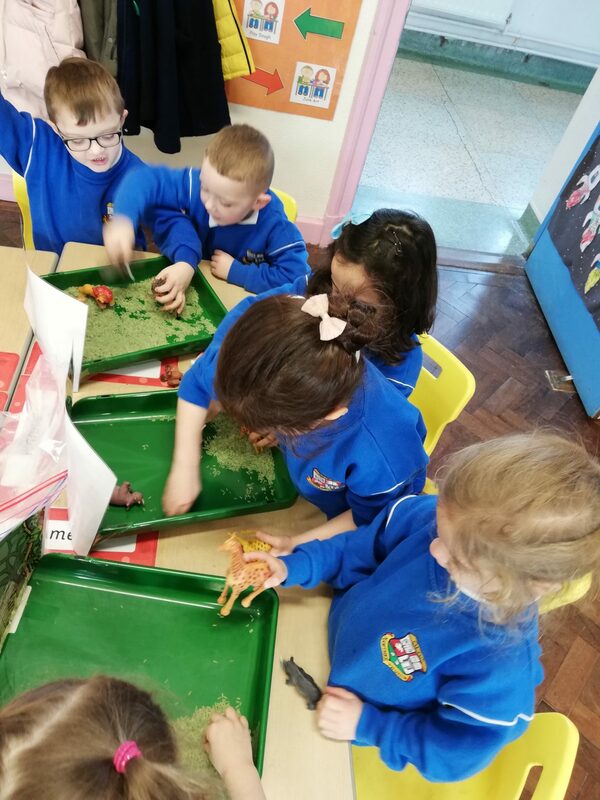 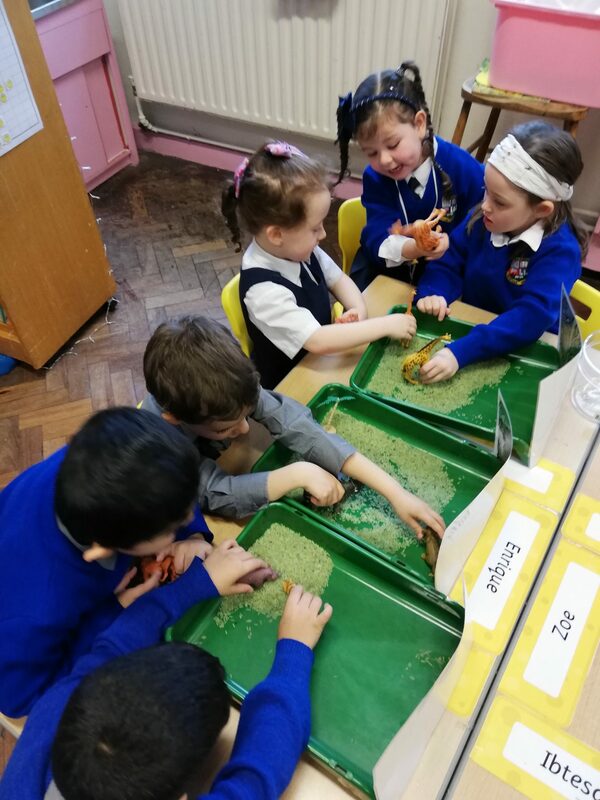 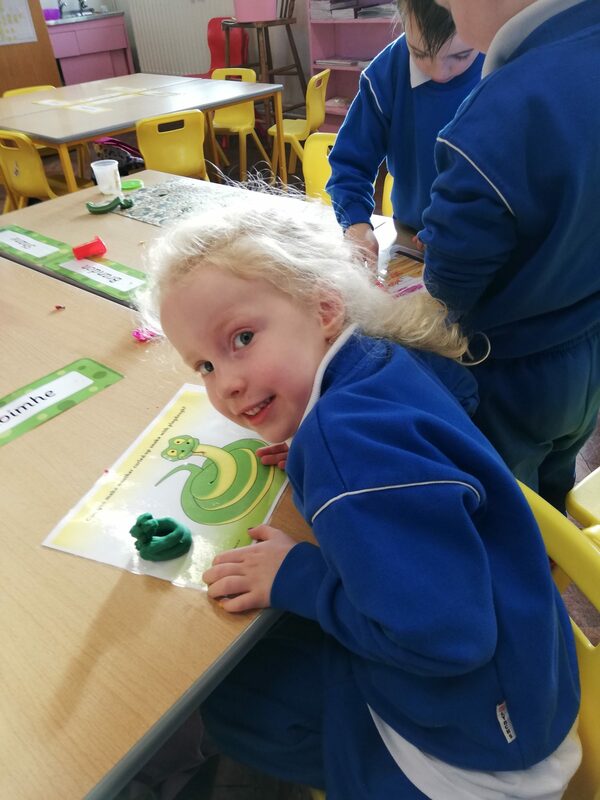 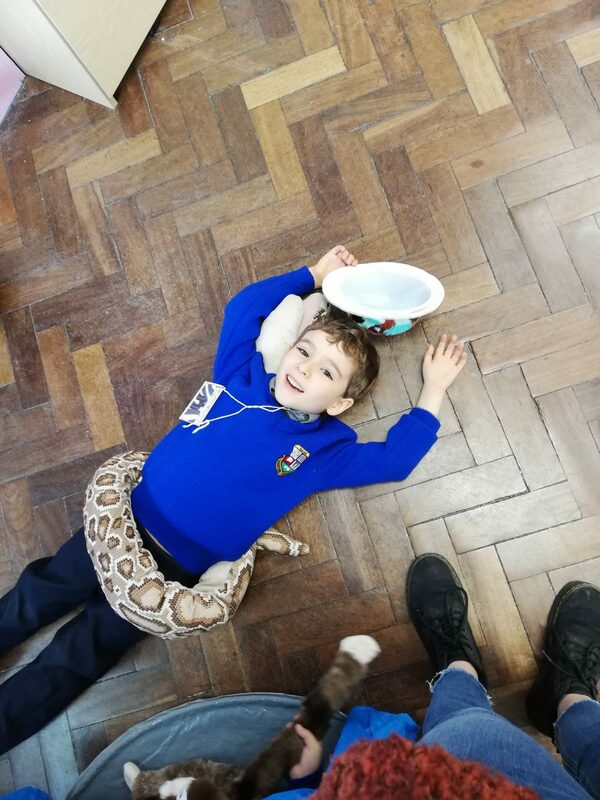 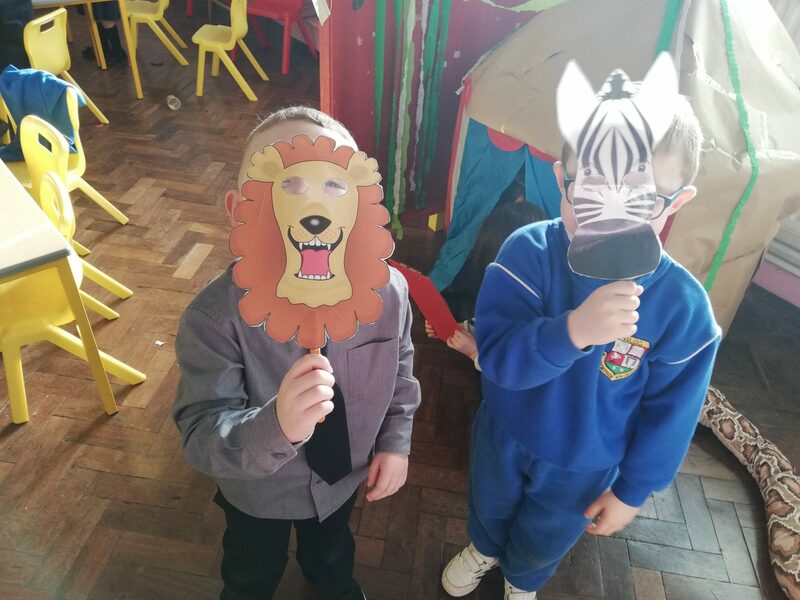 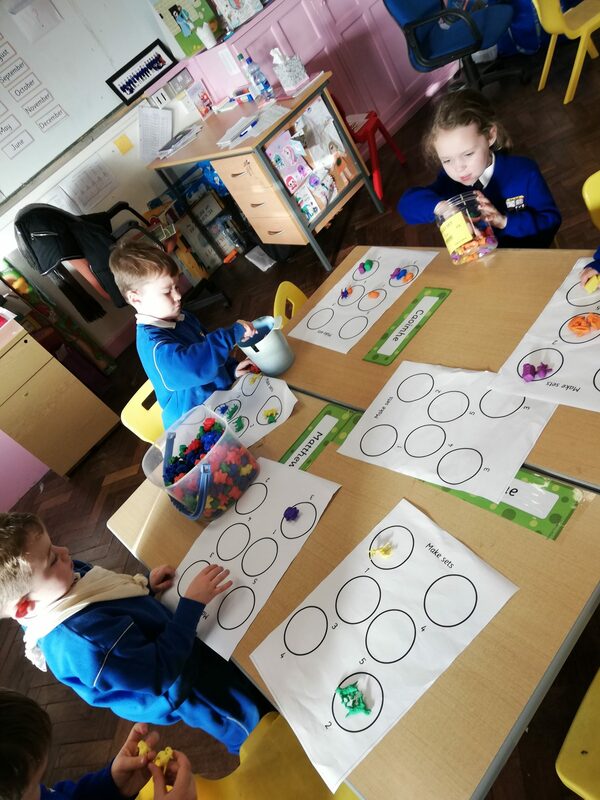 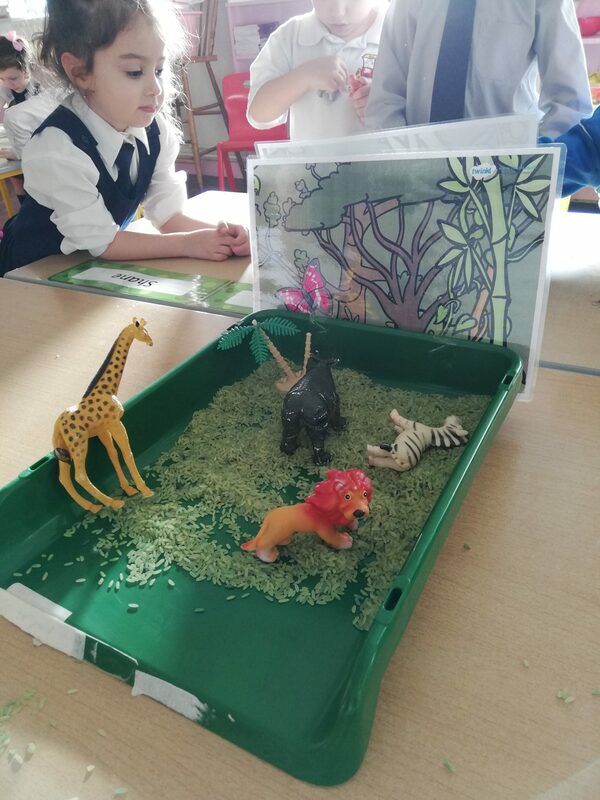 We have been learning lots about different types of Jungle animals and what they like to do. 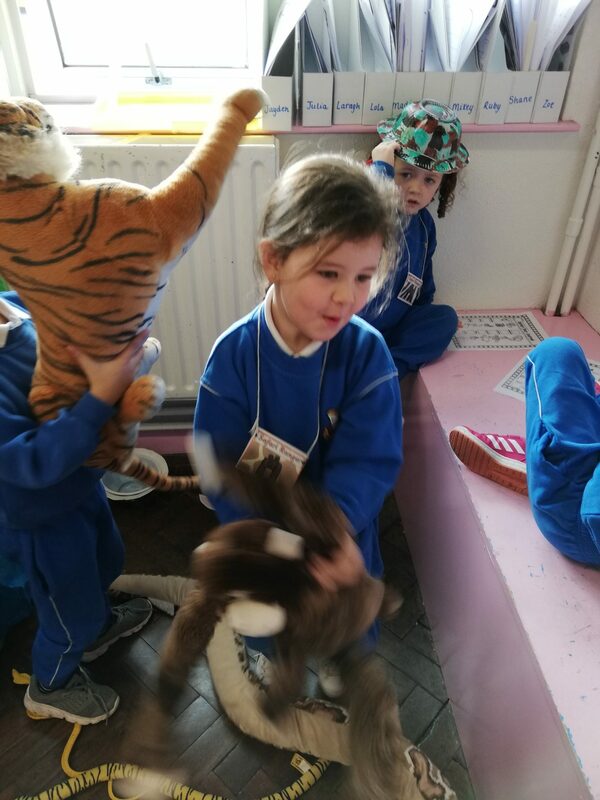 We have been making great teachers by telling wonderful animal facts to our friends. 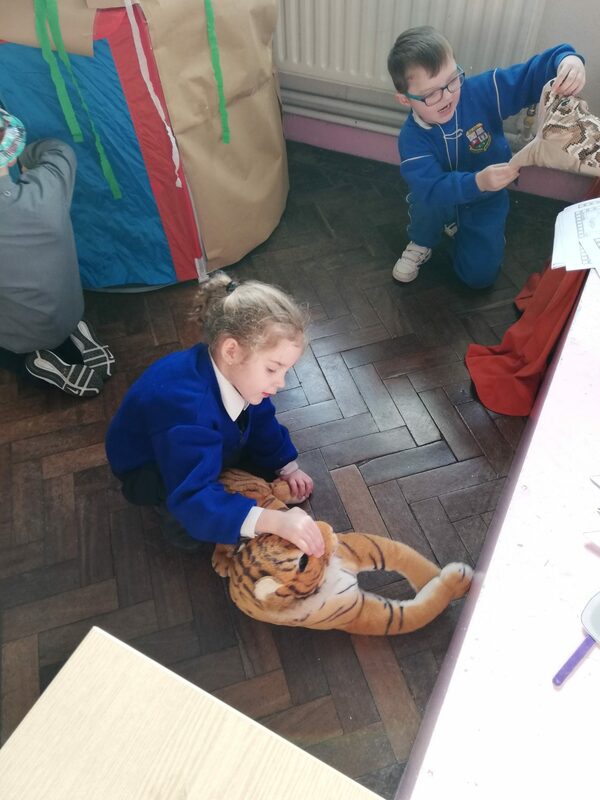 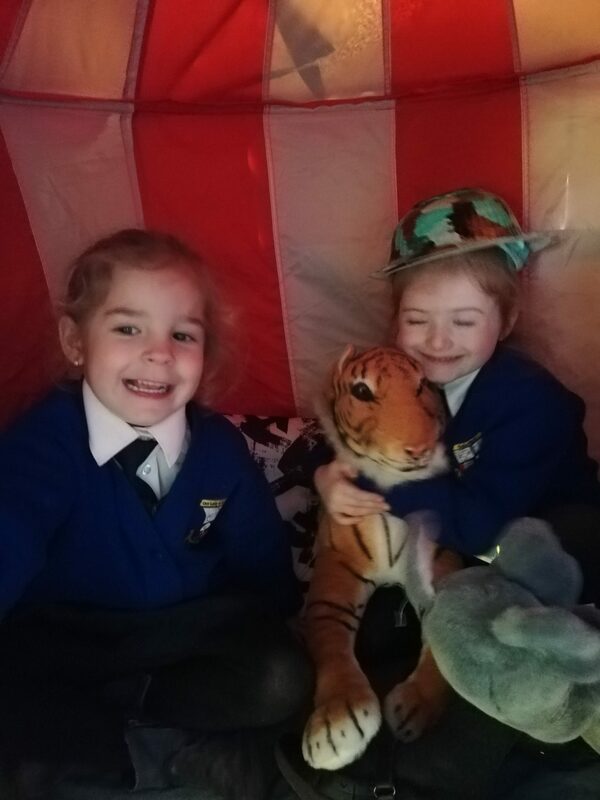 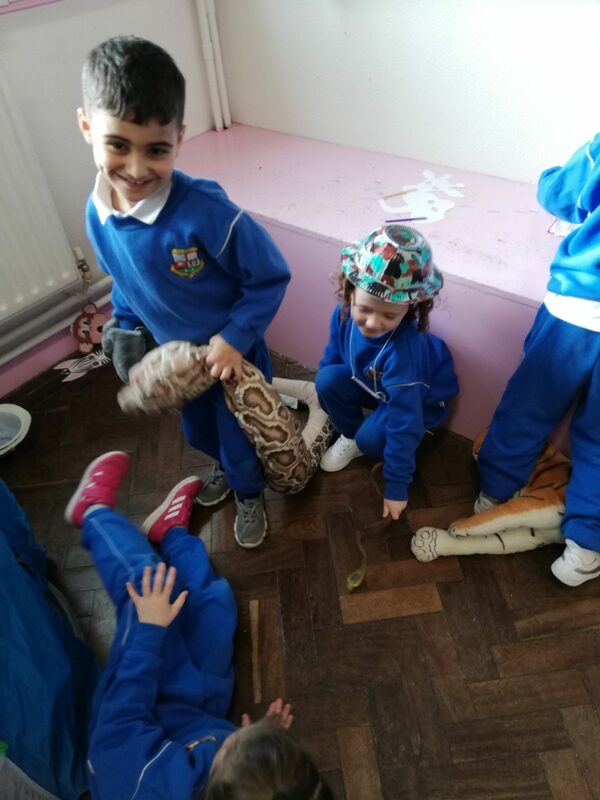 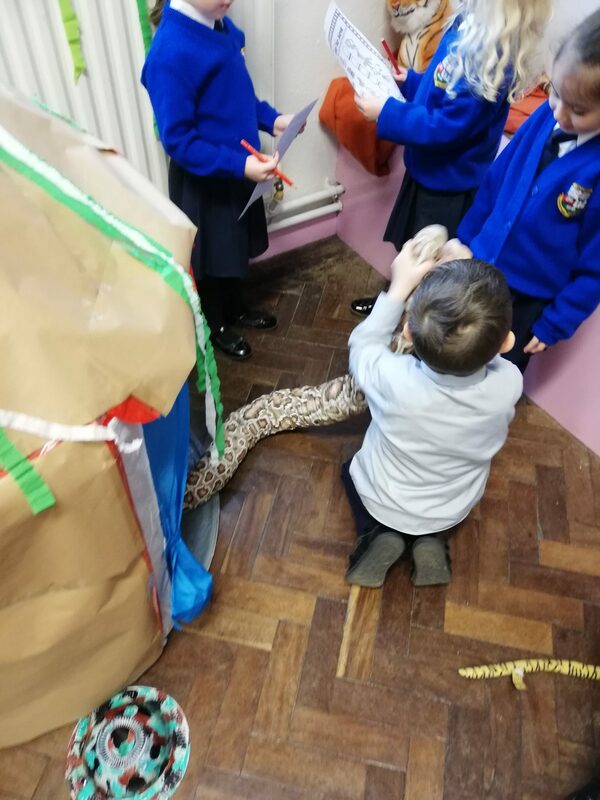 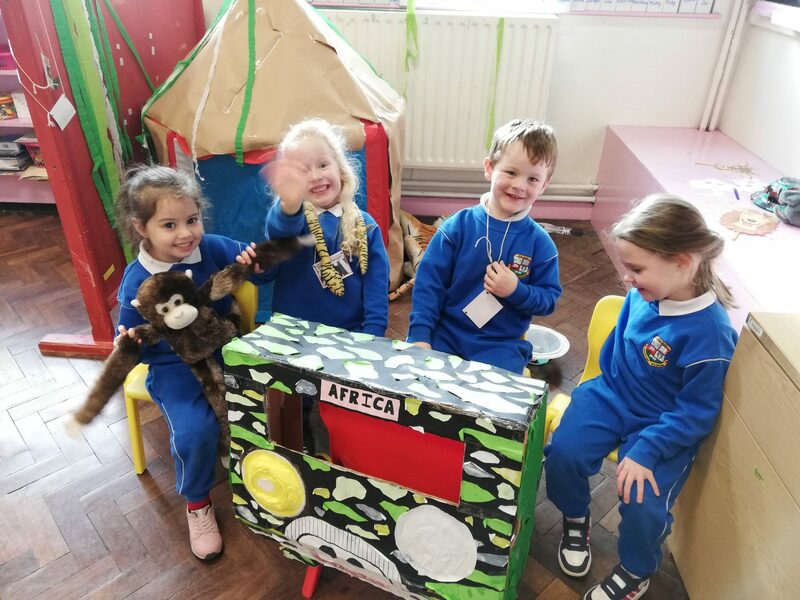 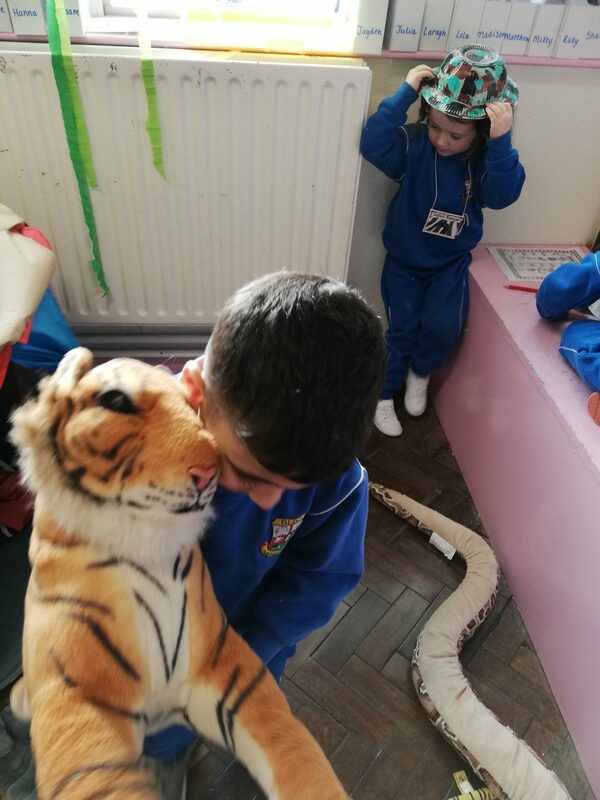 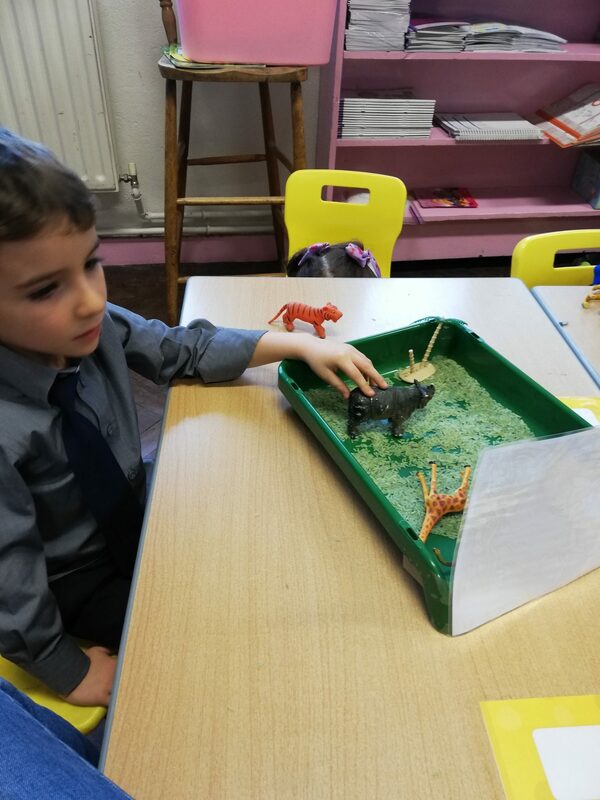 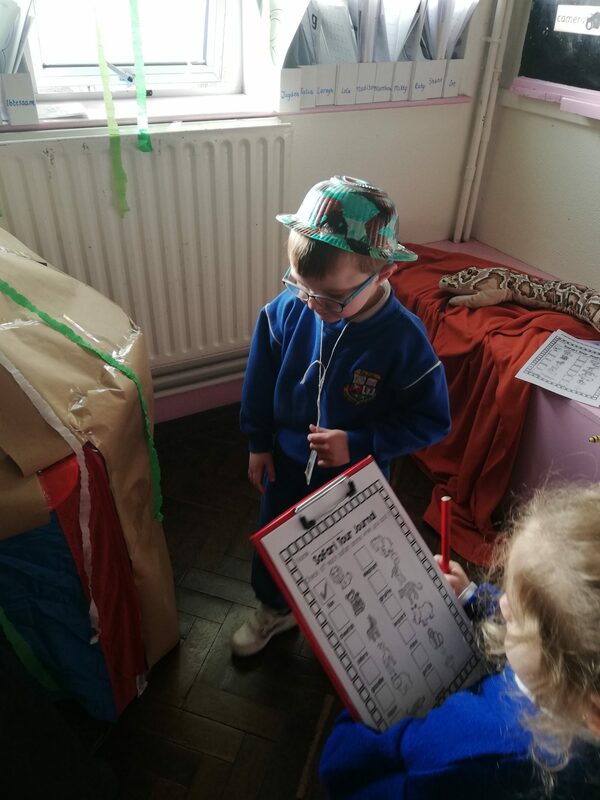 In our role play corner we have been acting as animals and safari rangers searching the jungle. 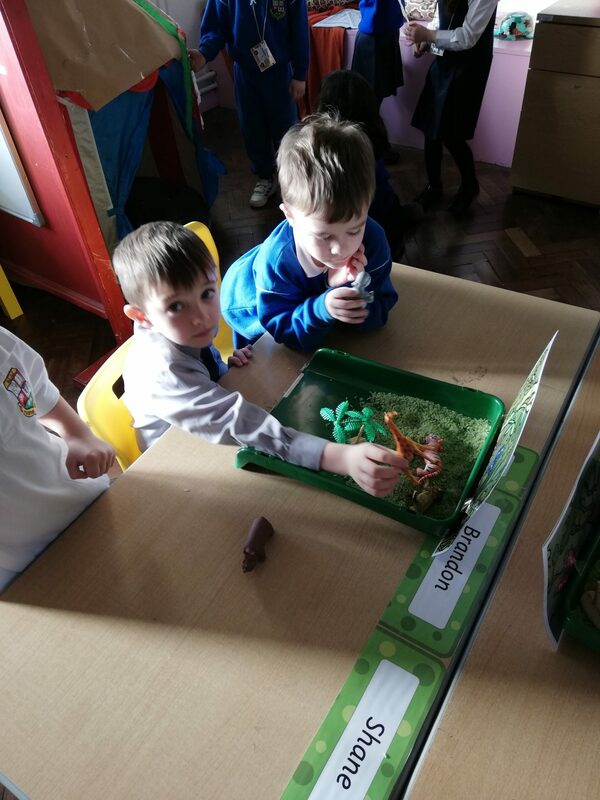 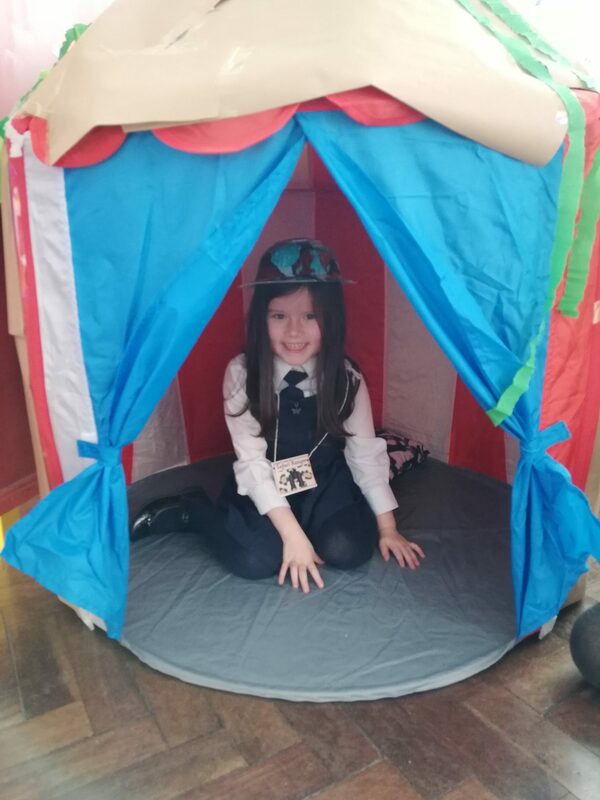 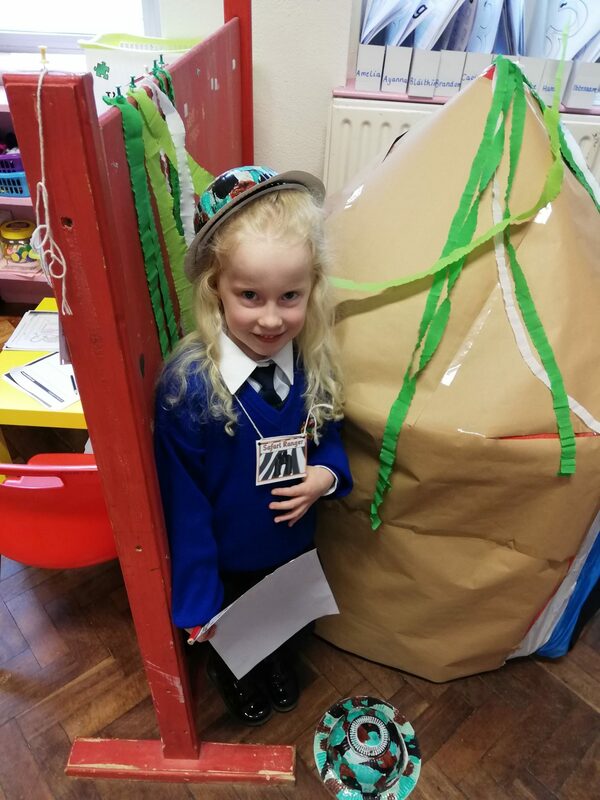 Our small world play has been filled with green grass and mini animals. 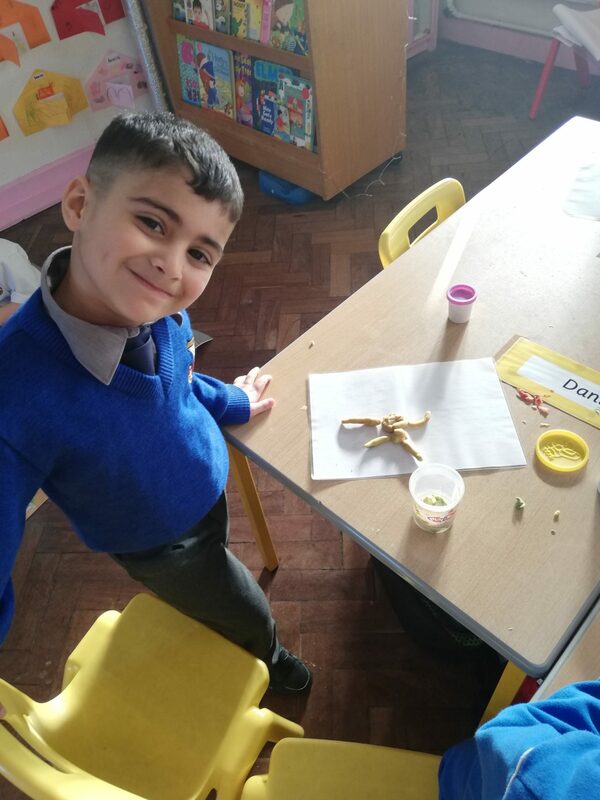 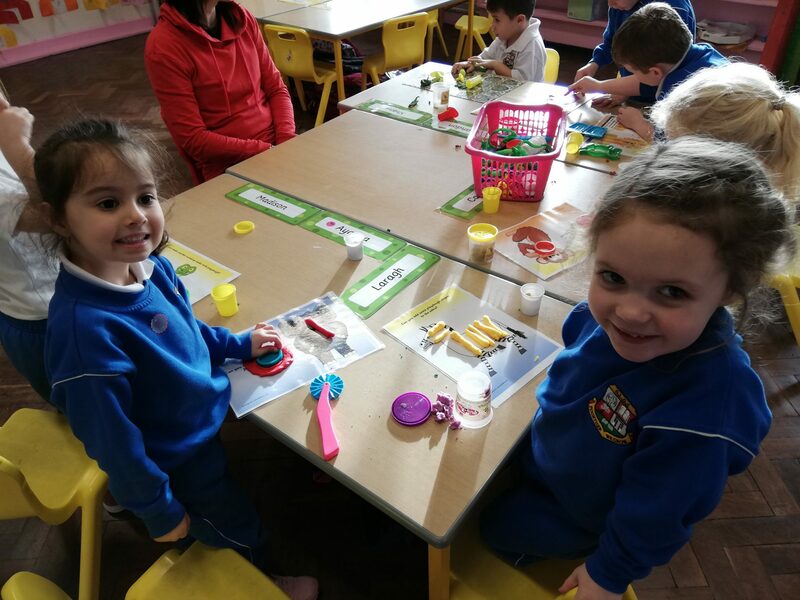 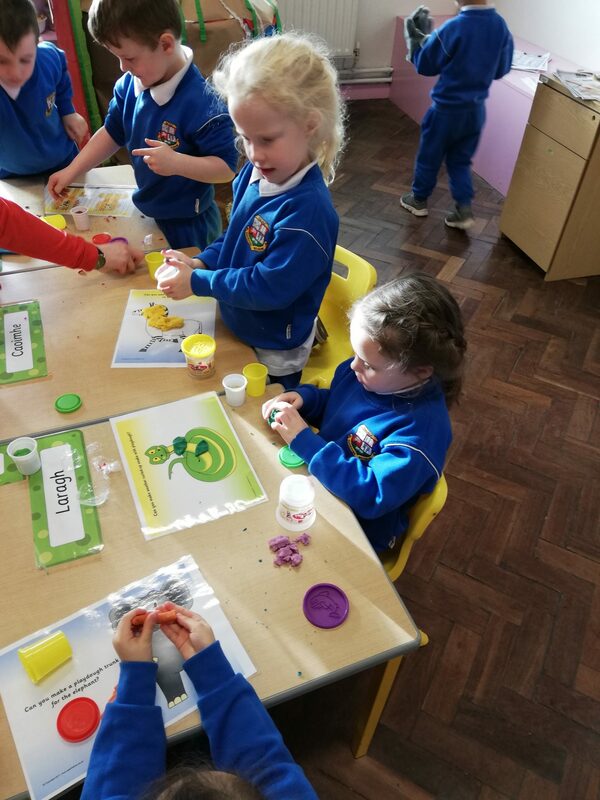 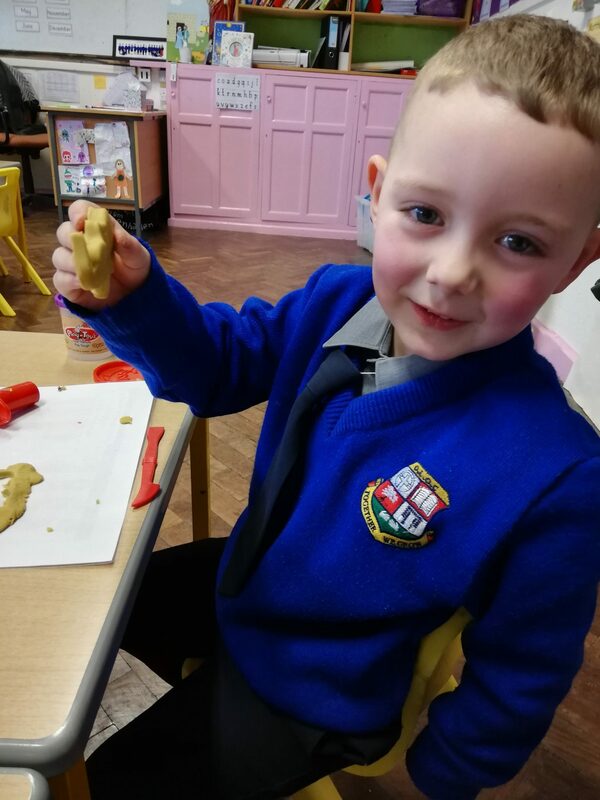 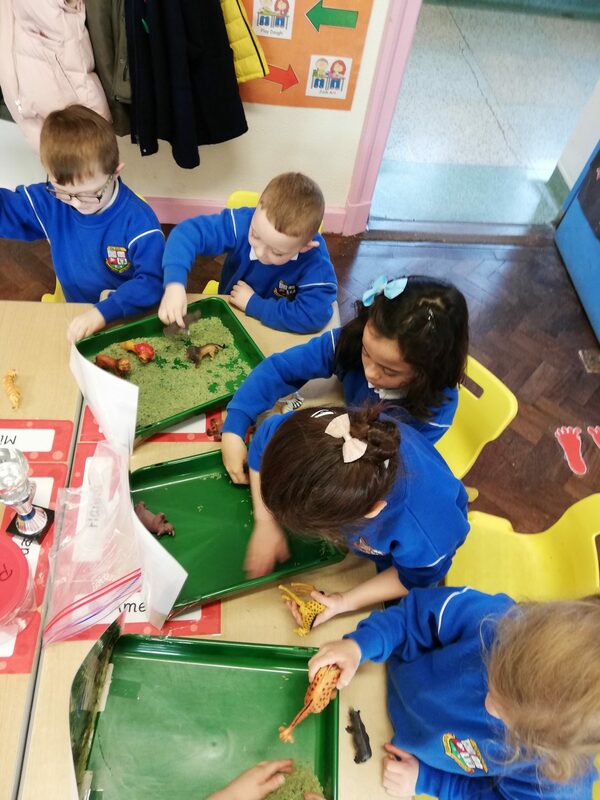 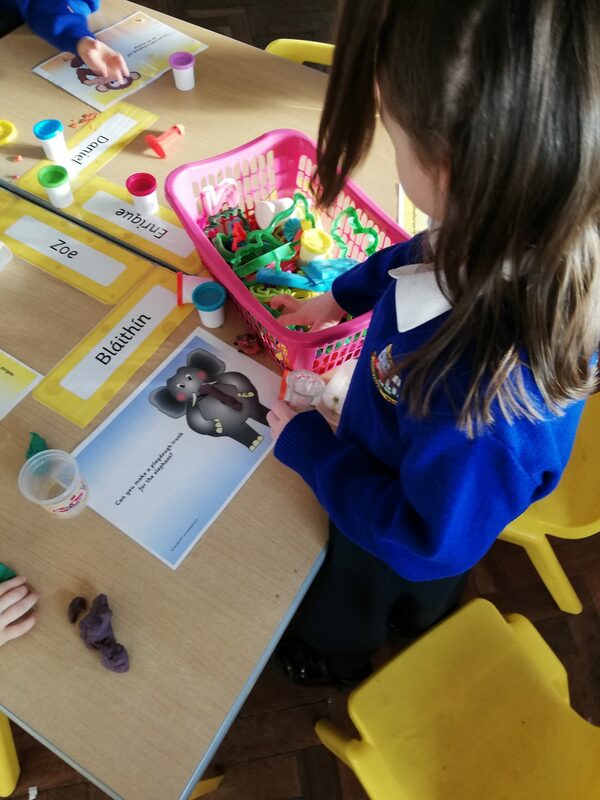 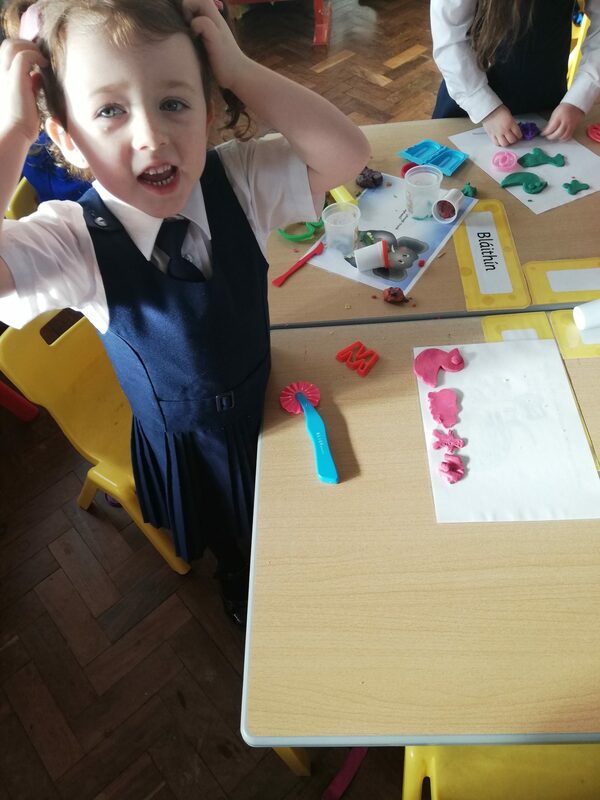 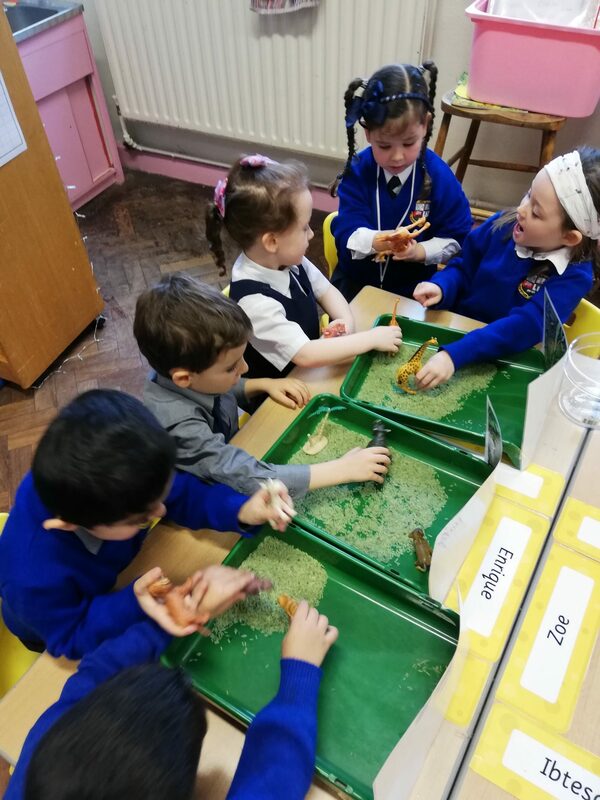 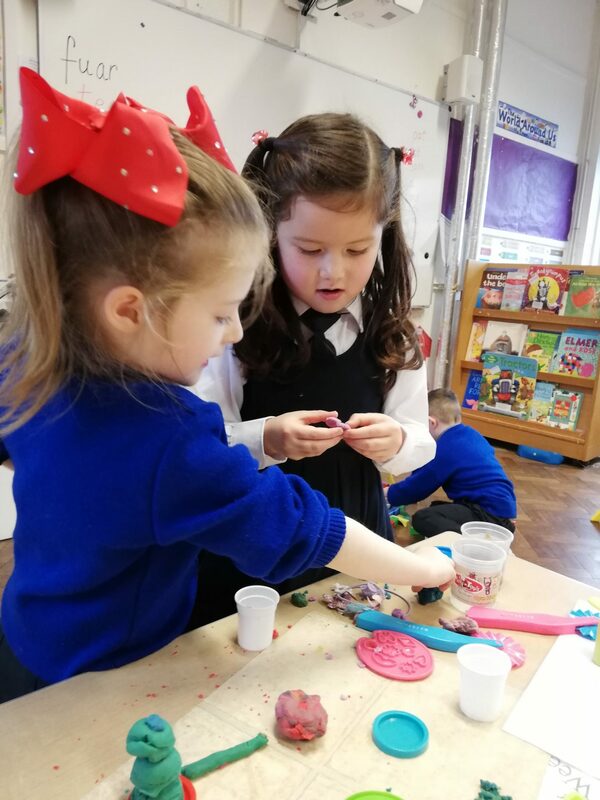 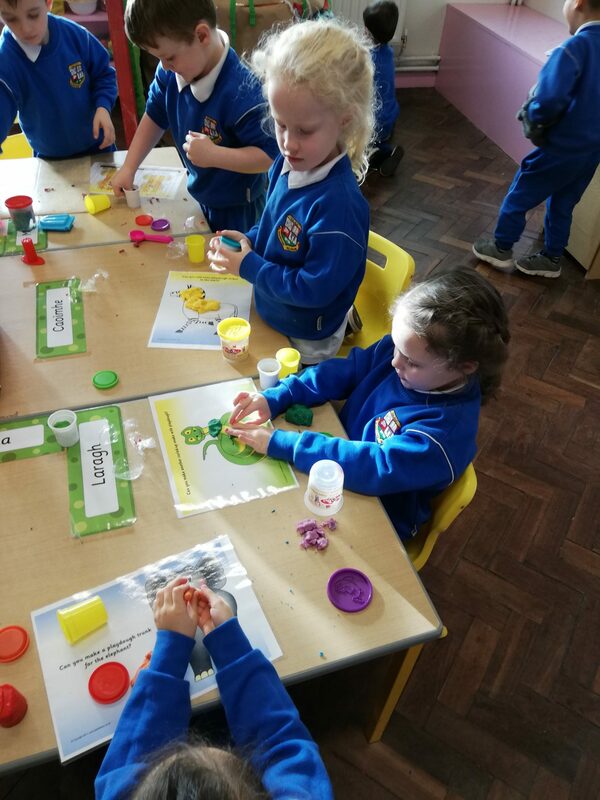 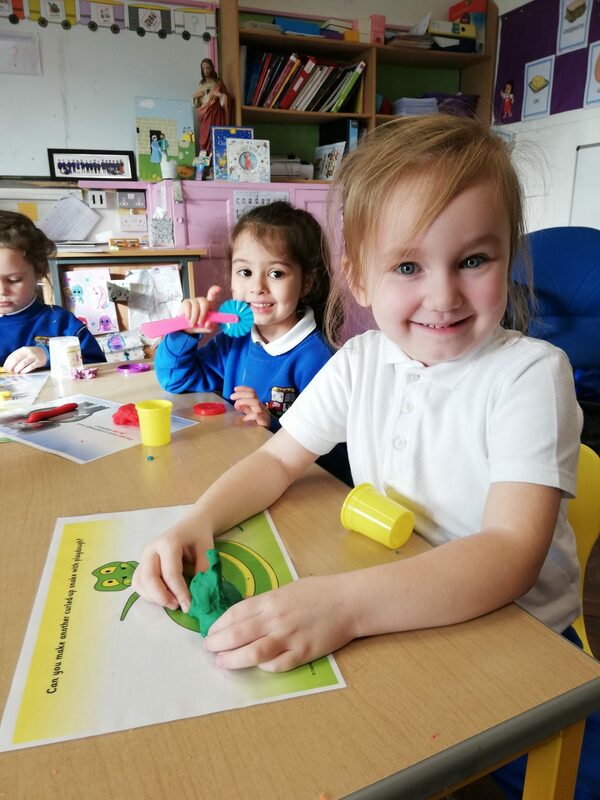 At the playdough station we have been making some very interesting jungle creations! 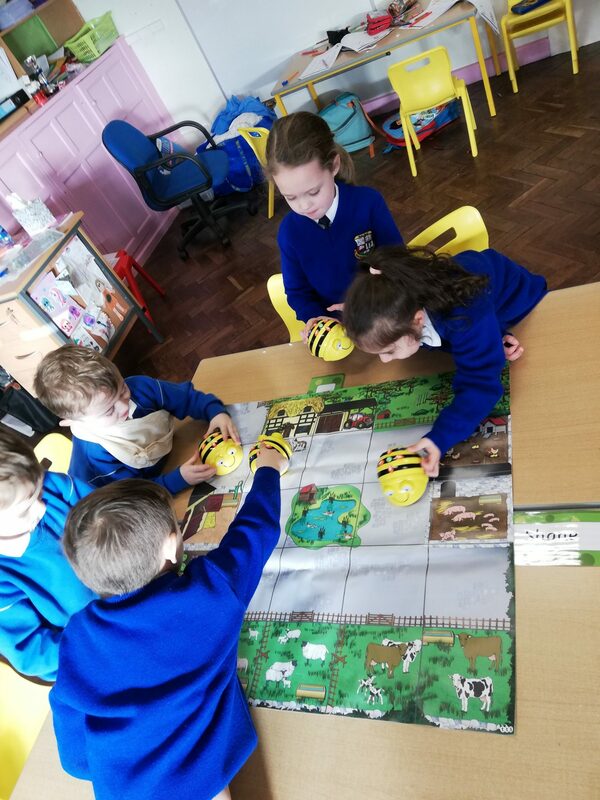 And we have been designing maps of the jungle, inspired by the book The Jungle Run. 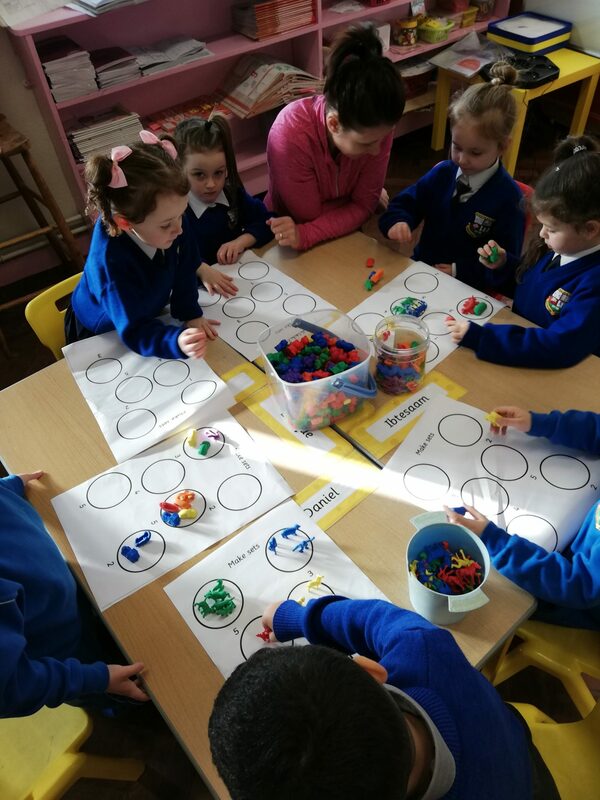 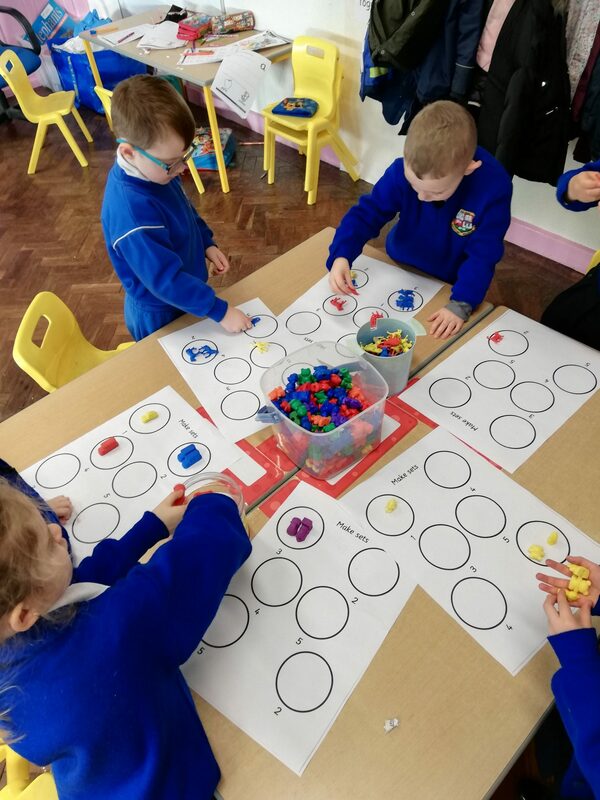 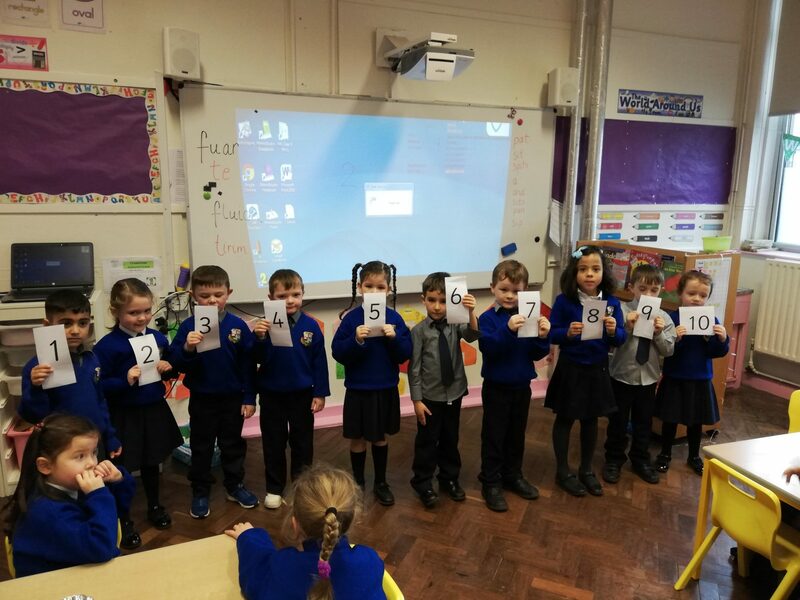 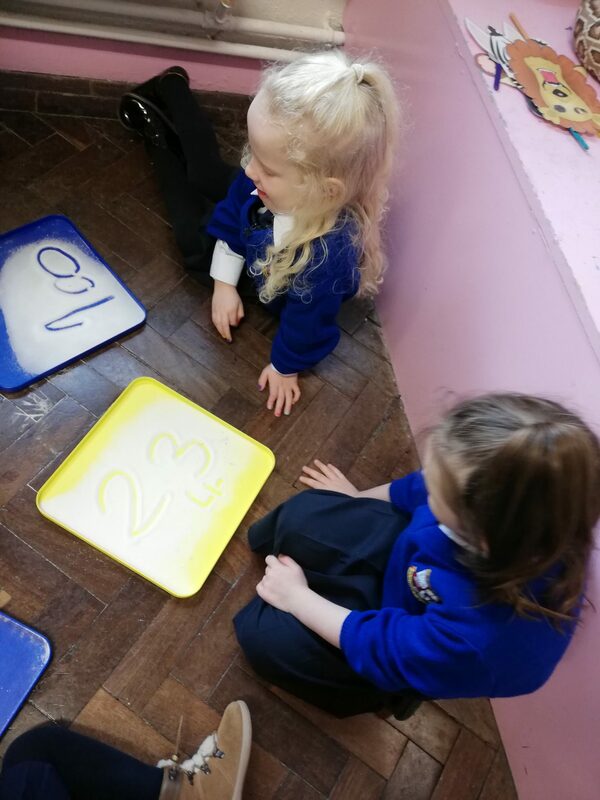 In maths we have been making sets, doing lots of counting, practicing writing our numbers and making human number lines! 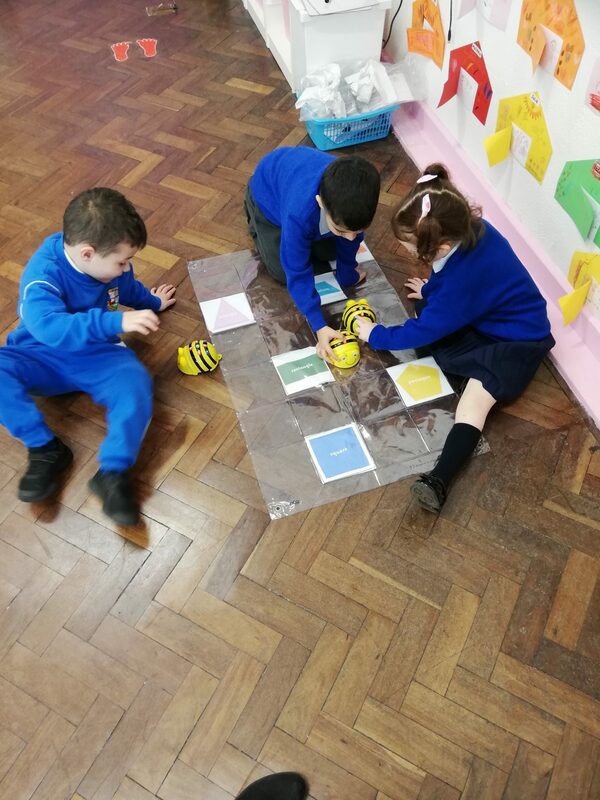 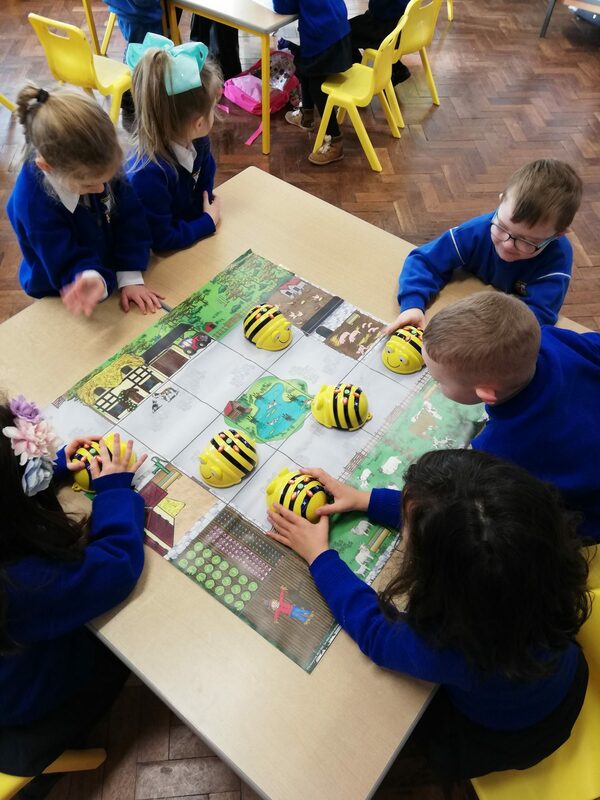 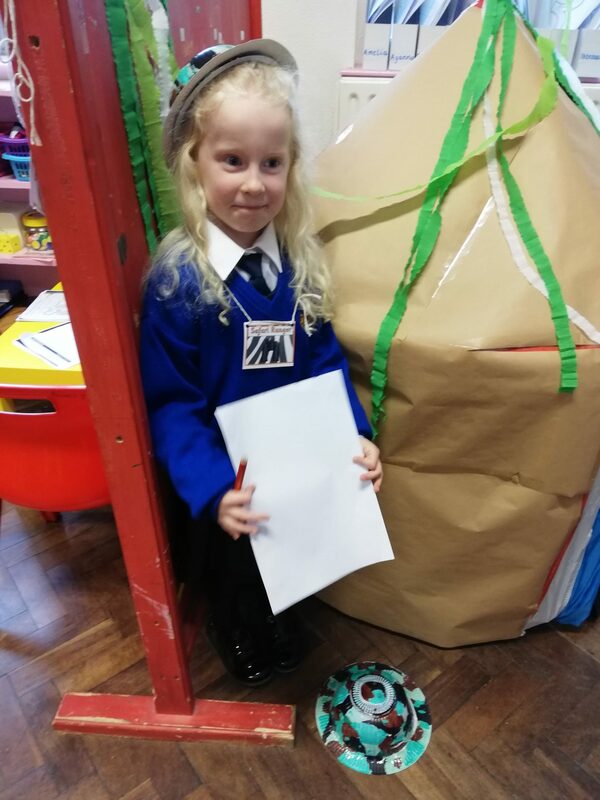 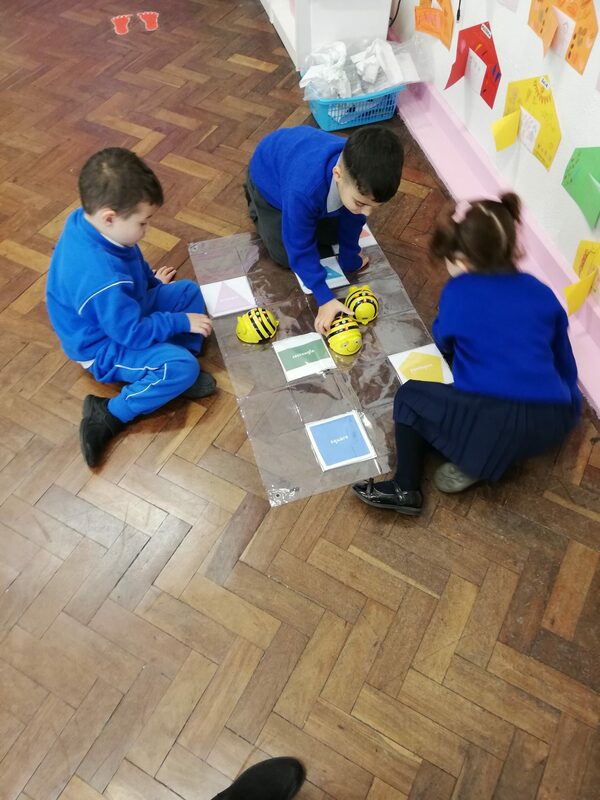 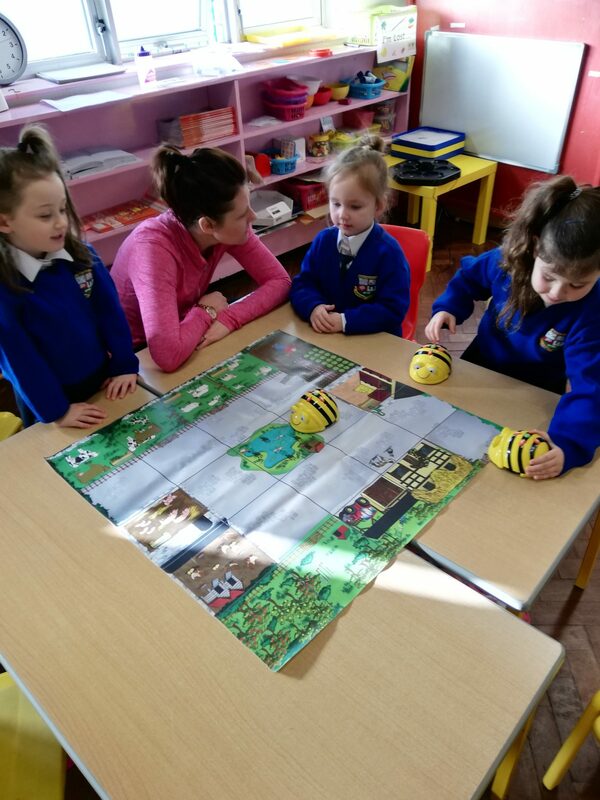 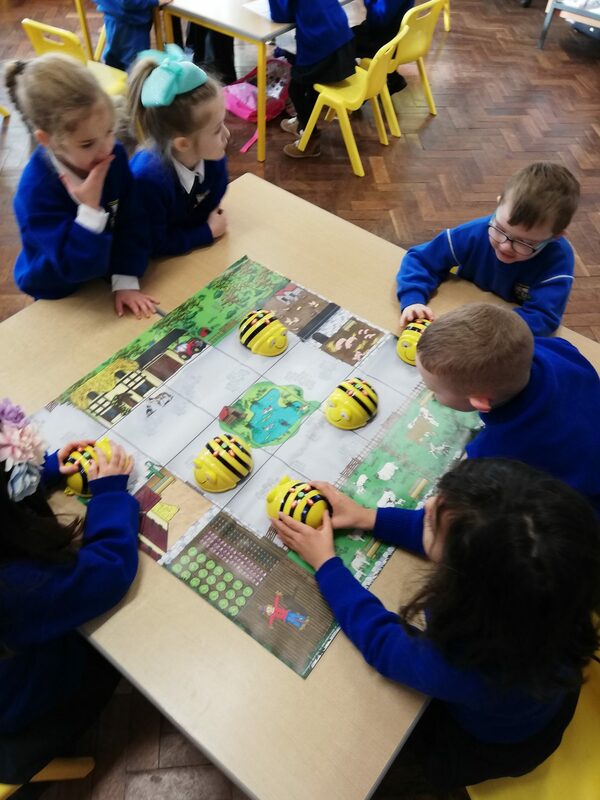 We have also been playing with the bee bot robots to teach us lots about spatial awareness. 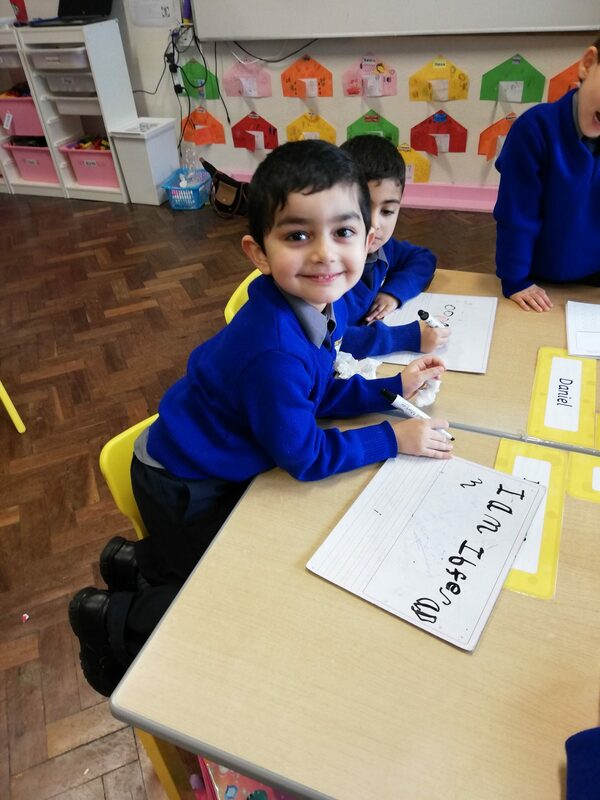 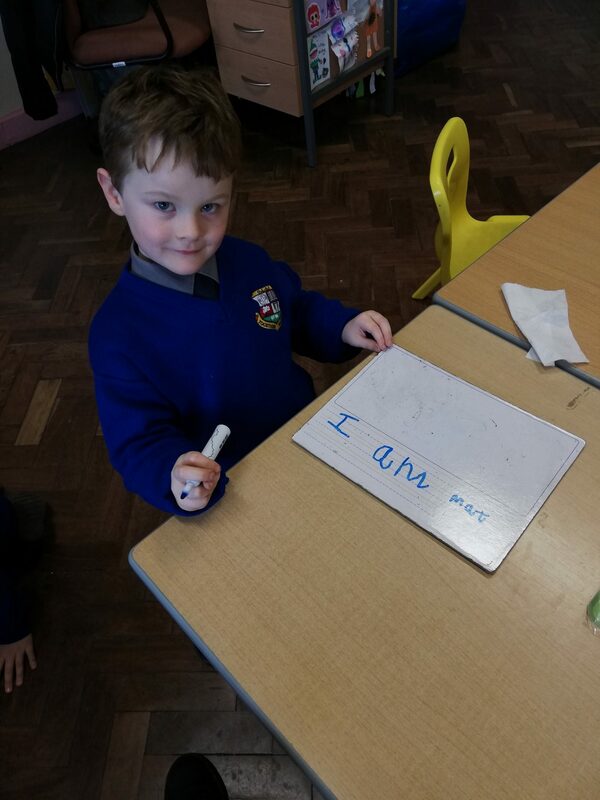 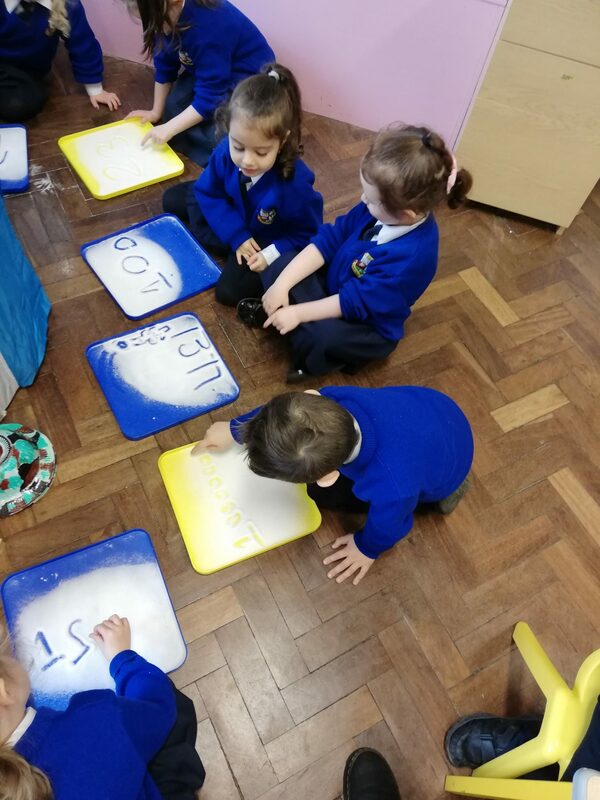 We have also been doing some writing – remembering finger spaces between each word. 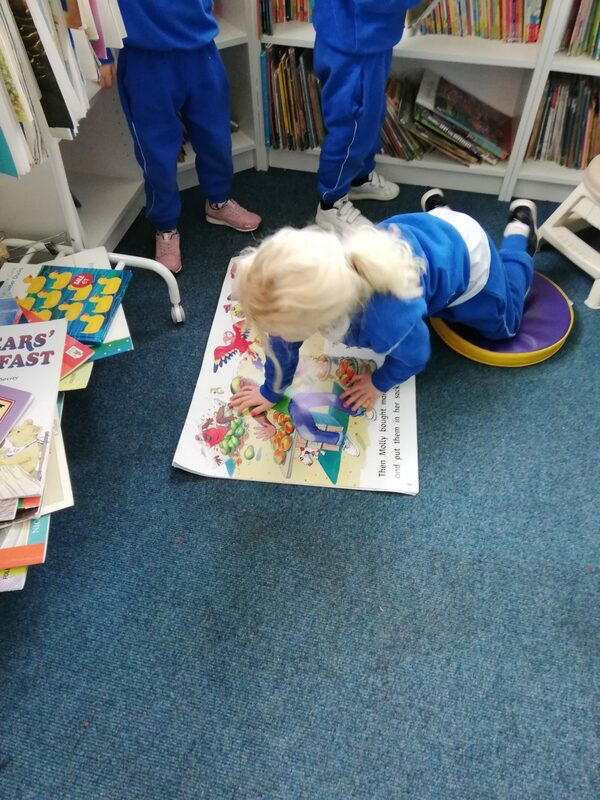 We made a trip to the library upstairs to take a look at some more animal books. 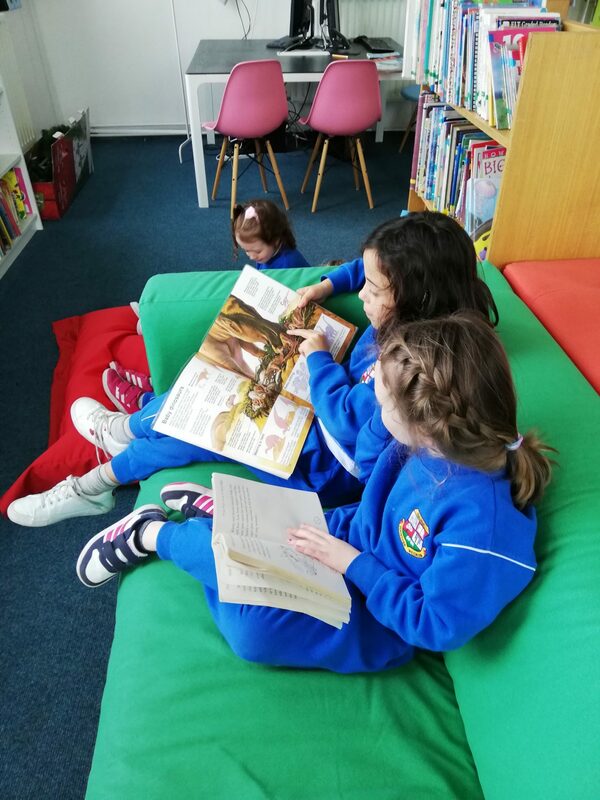 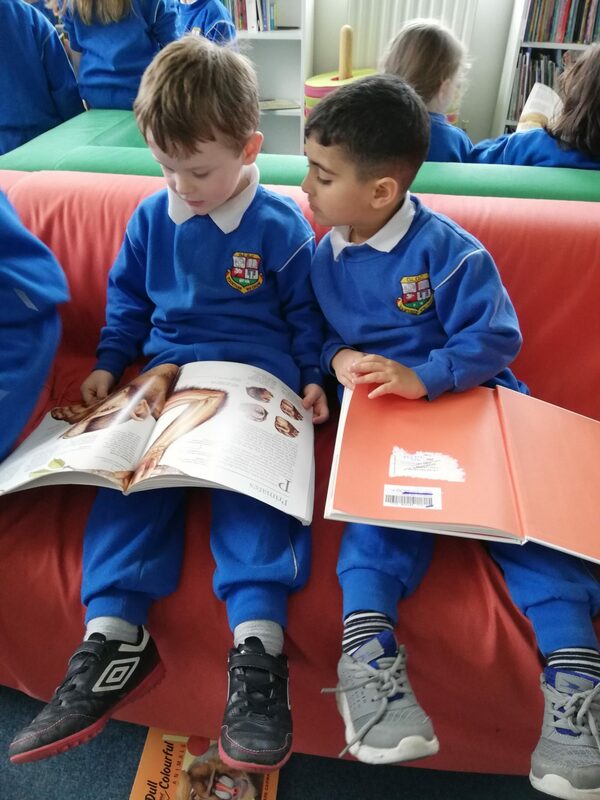 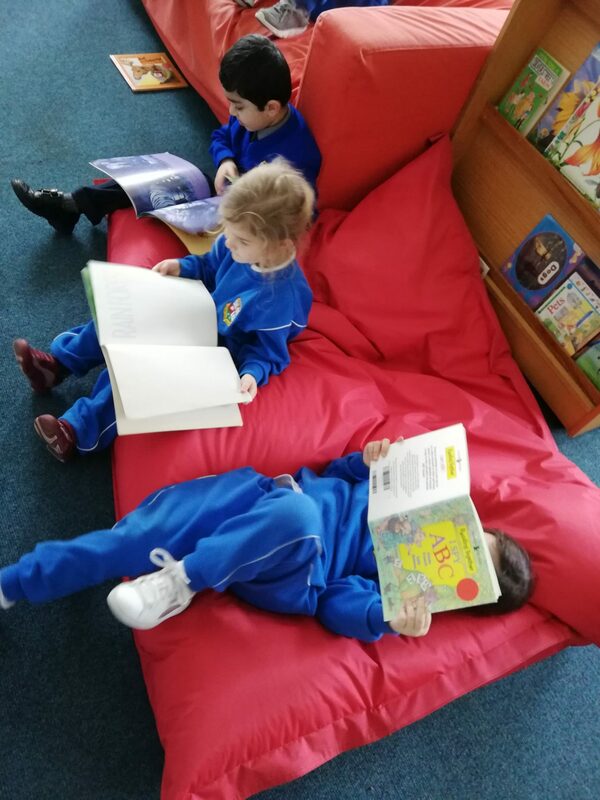 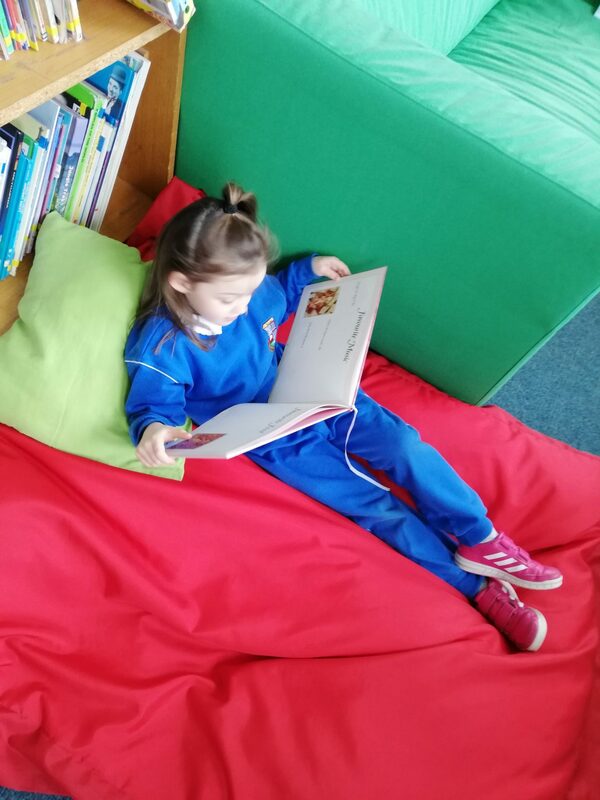 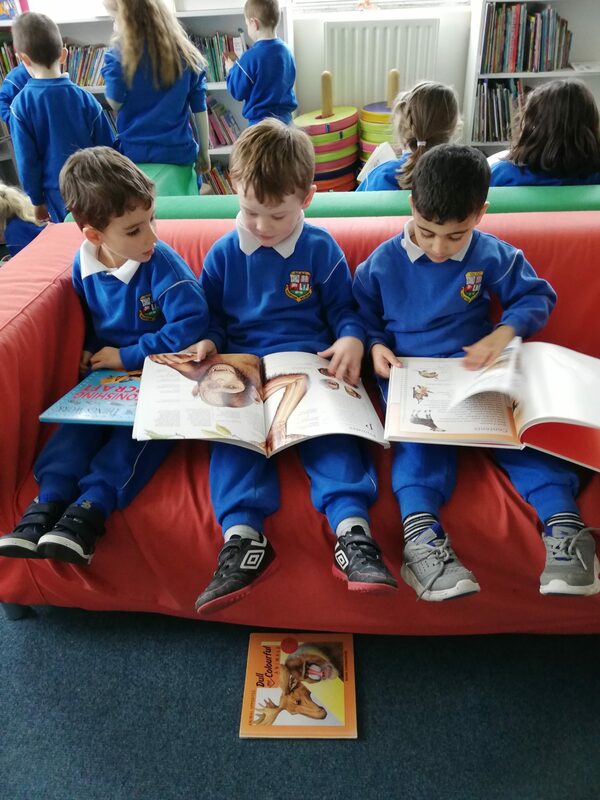 We have been doing lots of reading in class too!